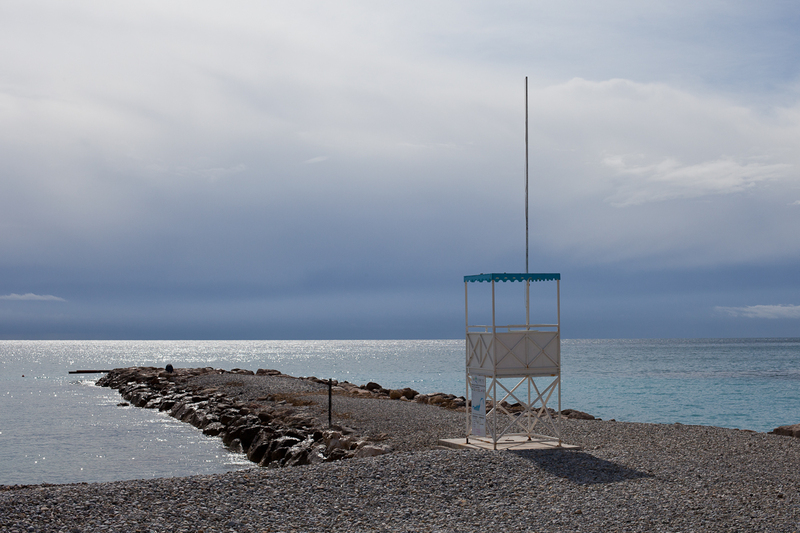 Early morning at Roquebrune-Cap-Martin. Not long now and we'll be seeing the lifeguards sitting in this little tower. Tôt le matin à Roquebrune-Cap-Martin. Dans peu de temps, nous verrons les surveillants de baignade assis dans cette petite tour. I love your photo of the lifeguard tower. The sky looks so ominous. Hasn't this wind been crazy? That beach looks rocky, but I love that sky. such an inviting shot. a place to send our dreams on holiday. I"m with Bird. I prefer sandy beaches myself but this is one lovely scene you've captured and I too love the lifegusrd's hangout. It looks like the whole population has vanished, like a scene from On The Beach. A bit spooky. Such a lovely image Jilly, kind of just makes you go *sigh*, so many shades of blue through grey!